The cold Erie days are quickly coming to an end and before we know it, it will be summer! Who’s excited to have hot days? 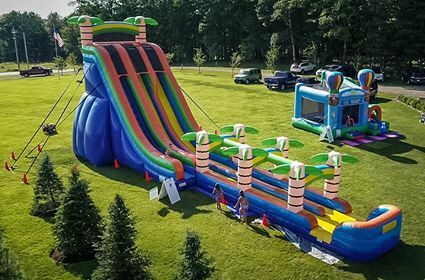 Crazy Monkey Inc. has party rentals to last through the summer sun; our Erie waterslides rentals will draw in big crowds at your parties and events. 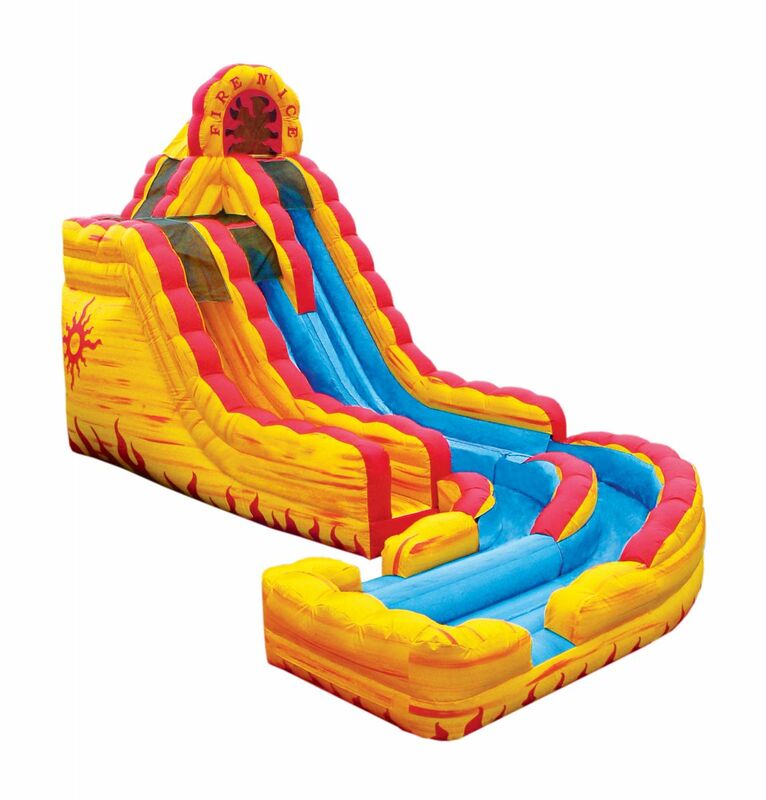 Our giant waterslides look very impressive set up in your back yard, front yard, or even at the park! You can guarantee that lines will quickly form with kids and adults waiting their turn to go down the slippery slide! Do you want a slide that stands out amongst the rest? Try out our Fire-n-Ice Waterslide! This tall slide has a side entrance making climbing to the top easy and safe. There is also 2 different size slides in this all in one party rental. Do you want a slide rental and a slip in slide all in one? Click here to see our 27’ Tropical Slide with Slip N Slide! The party doesn’t stop there! Crazy Monkey Inc. in Erie, PA also has a great selection of concession rentals that will provide your party goers with delicious treats. Click here to contact us today to place your order or to ask questions!